When the final whistle blew on a mild night in Gothenburg’s Ullevi stadium, there was an overwhelming sense amongst everyone connected with Valencia that they had achieved something really quite special. It was May 19, 2004, and Rafael Benítez’s Valencia had just completed a famous doblete by beating Marseille in the final of the UEFA Cup, adding to the LaLiga trophy they had secured two weeks earlier. The game in itself was unspectacular, Valencia running out fairly comfortable 2-0 winners after a characteristic moment of madness from Fabien Barthez had reduced the French side to 10 men with more than 45 minutes to play. Once Valencia had scored the resulting penalty, they never looked like surrendering their lead, and leading striker Mista put the game beyond doubt with a glorious outside-of-the-foot finish just before the hour mark. However, the scale of Valencia’s achievement in completing the double should not be underestimated – that night was a fitting conclusion to the most fruitful period in the club’s recent history, and the last triumph of one of the great European teams of the last decade. It is worth remembering that when Benítez took the job in 2001, he was taking over what was already a very decent side. 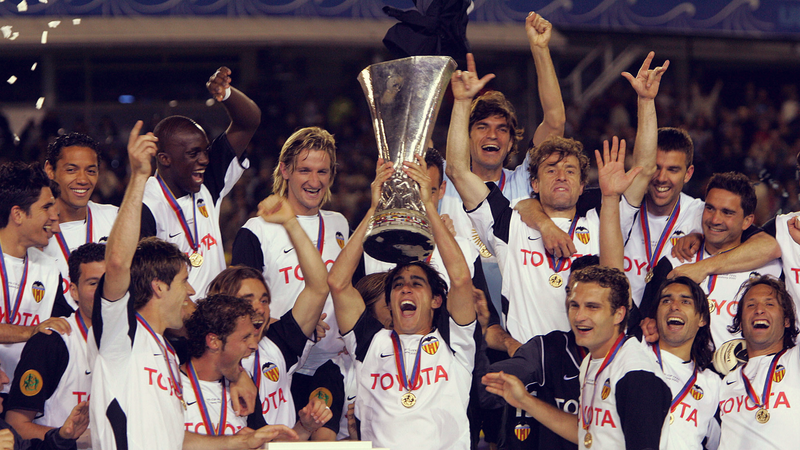 Valencia, under Héctor Cúper, had reached successive Champions League finals in 2000 and 2001, losing to Real Madrid and Bayern Munich respectively, with the latter defeat only coming on penalties after the two sides could not be separated. However, their league form under Cúper had been less impressive – a third-place finish in 2000 was followed up by the huge disappointment of missing out on Champions League qualification when they ended the 2000/01 campaign in fifth. Valencia were desperate to end their 30-year wait for a LaLiga title and, after Cúper left for Internazionale, they turned to Rafael Benítez, a young manager with a burgeoning reputation who had just achieved promotion from the Segunda División with Tenerífe. What Benítez would go on to achieve in three years at Valencia, winning LaLiga twice, as well as that UEFA Cup victory, was remarkable for a number of reasons. Firstly, this was a young manager who had never managed a top side before, certainly not one with aspirations to be champions, and whose recent jobs had been largely with teams in the Segunda División. Secondly, Benítez was by no means a unanimous choice amongst fans, and faced a degree of hostility from the outset from those who had expected a more proven manager to be appointed – in fact, in a recent interview, Benítez admitted that he was on the verge of being sacked as early as December, with only a late comeback against Espanyol, to whom they were two goals down, saving his job. The greatest challenge facing Benítez when he arrived was the same that faces any manager with hopes of winning LaLiga: the utter dominance of Barcelona and Real Madrid. In the 17 seasons prior to Benítez taking over at Valencia, the duopoly had only been broken twice – once by Atlético Madrid in 1996 and once by Deportivo La Coruña in 2000. However, these were little more than isolated victories, and no team had had a sustained period of success since Athletic Club won successive titles in the early 1980s. Furthermore, Valencia’s success hardly coincided with the decline of the two super-clubs; in the 11 seasons since, only Diego Simeone’s Atlético Madrid have loosened their stranglehold on Spanish football. It is often assumed that Valencia simply capitalised on a period in which Barcelona and Real Madrid were in transition, or were weaker than usual. However this assumption does a disservice to Benítez’s side, and a look through the two clubs’ squads during this period should put paid to any doubts over the quality they boasted. Barcelona still counted superstars like Rivaldo, Patrick Kluivert and Marc Overmars amongst their ranks, whilst Real Madrid had just broken the world transfer record for the second successive season to sign Zinedine Zidane, adding to a squad already containing the likes of Luís Figo, Iker Casillas, Raúl and Roberto Carlos. Real, in particular, were still a hugely successful team during this period, winning the Champions League with Zidane’s famous volley in 2002. This was the quality and the spending power that Benítez was up against and, in this context, his achievement in winning two titles is nothing short of phenomenal. The Valencia squad when Benítez first arrived was itself not short on quality and there was plenty of potential within it. Many of the team that played in the 2001 Champions League final under Cúper would remain crucial members of Benítez’s double league-winning side. The goalkeeper, Santiago Cañizares, was widely regarded as one of the finest in the world at the time, and continued to form part of a formidable defence along with stalwarts Roberto Ayala, Amadeo Carboni and Mauricio Pellegrino, who would himself go on to manage Valencia years later. Benítez, however, did make some significant signings in his first year. Carlos Marchena, who arrived from Benfica, was gradually phased into the centre of defence to replace the ageing Pellegrino, and became a crucial player in the double-winning season, while Curro Torres was another ever-present in defence after Benítez ordered his return from loan. Perhaps the most important of the players he bought was the one he took from his former club Tenerífe, striker Mista. The Spaniard was something of a protégé of Benítez’s having brought him through when assistant manager of Real Madrid, and he went on to perform an indispensable role as the lone striker, having been preferred up front to John Carew and Juan Sánchez. Tactically, Benítez’s most important change was to switch from a 4-4-2 diamond to a compact 4-2-3-1, with two defensive midfielders and wingers in Vicente and Rufete who worked for the team in both transitions. There were very few teams at the time who played with one up front – this was long before 4-2-3-1 was the formation in vogue across Europe – and the system allowed Benítez’s side to exert a measure of control in midfield over opponents who generally had a man fewer. Add to this one of the best goalkeepers in the world, a world-class defence, and a manager who rates defensive organisation as the game’s most important facet, and it’s fair to say that Benítez’s Valencia were built from the back. In his first season, Los Che conceded only 27 goals. By way of comparison, Chelsea under José Mourinho in his first season back – himself no stranger to solidifying a defence – conceded 32 in the Premier League, and Valencia certainly didn’t enjoy the same position as runaway favourites for the title. Going forward, the team scored a paltry 51 league goals in the 2001/02 season, an extraordinarily low return for a title-winning side. Manchester City scored exactly double that in their victorious 2013/14 campaign, whilst the lowest total required to win the Premier League is 67. Valencia’s meagre goal return during that season is often used to suggest that Benítez’s was a dull side but, whilst it’s fair to say they were more solid than spectacular, it would be harsh to call them boring. 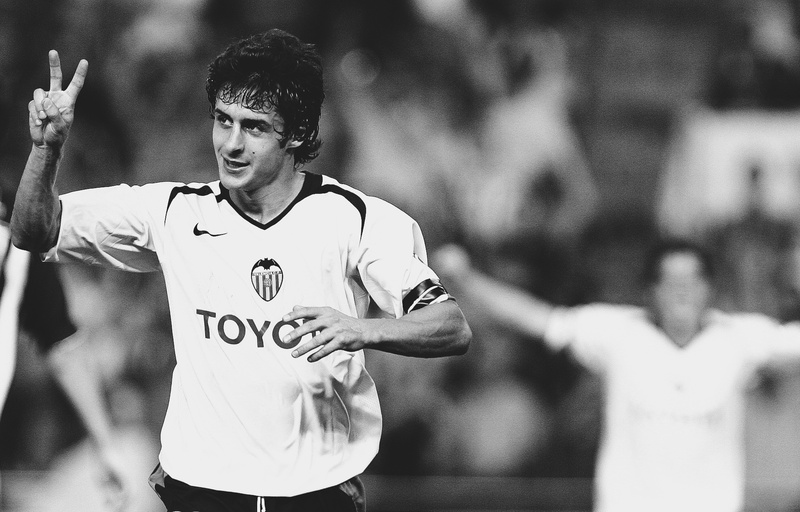 They had some exceptionally gifted and entertaining players, none more so than Pablo Aimar, the elegant, diminutive attacking midfielder who acted as the team’s creative fulcrum. The Argentine was one of the most exciting players in LaLiga in the early 2000s and earned frequent comparisons to his compatriot Diego Maradona. Playing in the hole behind the striker, he was a classic number 10, combining supreme skill and dribbling ability with an excellent eye for a pass. That season Valencia won LaLiga with a week to spare, beating Málaga 2-0 away from home to secure the title. The campaign also included some eye-catching results, and Benítez managed to take an impressive seven points from four games against Barcelona and Real Madrid, beating both at the Mestalla. The next season was disappointing, with Valencia unable to build on the success of Benítez’s first campaign, and they ended the year in fifth place, 18 points behind leaders Real Madrid. There were a couple of factors that may have contributed to Benítez’s underwhelming sophomore campaign; for a start, there was a failure to refresh the squad in the summer, with Anthony Réveillère the only signing of any significance. Secondly, it is tempting to assume that Valencia’s involvement in the Champions League may have had an effect on their league form. Although they were involved in the UEFA Cup the season before, the more stringent demands of Europe’s premier competition may well have contributed to the tailing off of their domestic results, especially as Benítez made no secret of his desire to win the competition. Ultimately though, it is always hard to defend your title, as teams make that extra effort to work you out; Valencia may simply have found it difficult to adjust to being the team to beat rather than the unfancied underdogs. All of which makes their achievements in the 2003/04 season more remarkable. Valencia’s previous league title had been written off by most as an isolated victory, but they returned stronger after the disappointment of the last campaign and reclaimed their title from Real Madrid in style. The jibes of boring could certainly not be levelled against this side, who scored 71 goals on their way to claiming the title, with only Los Blancos, who scored 72, bettering their total. This upturn in Valencia’s form was due in no small part to Mista – the Spanish striker had an outstanding season, contributing 24 goals in all competitions, including that delightful goal against Marseille which sealed the UEFA Cup. Although Benítez made several signings in the close-season, providing greater depth in the squad, it is interesting to note that his preferred first-team was largely the same which won the league in his first season, highlighting a level of consistency that was entirely at odds with the haphazard, revolving door transfer policy at Real Madrid. There will be many who will look back at Benítez’s tenure at Valencia fondly, and perhaps with a slightly bittersweet nostalgia. The club are yet to see anything like the same success in the decade since, with financial problems and inconsistent results seeing the club fall away from Europe’s top table. For the players, this was a golden period which some have been unable to recreate in their subsequent careers. Mista in particular has not lived up to the promise he showed during those seasons, with a nomadic career taking in underwhelming spells at Atlético Madrid and Deportivo. 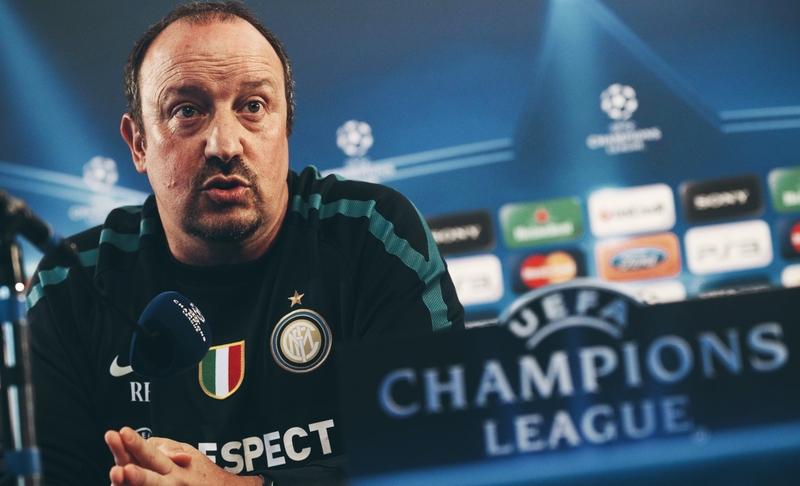 Benítez himself has had an up-and-down career since he burst onto the European scene in such spectacular fashion. Whilst he added to his reputation with an unlikely Champions League win at Liverpool, a disappointing spell at Inter was followed by a toxic reign at Chelsea, reasonable results at Napoli, failure at Real Madrid and now, to his credit, a respectable building job at Newcastle. Most of all, though, Valencia’s brief period of domestic dominance in Spain will be remembered fondly by those who have become bored of the Real Madrid-Barcelona duopoly and the inability of other teams to challenge seriously for domestic honours. It is no surprise that Diego Simeone’s plucky Atlético were so heralded when they won LaLiga in 2014 – Spanish football is not a level playing field and it is truly an exceptional achievement for any team to challenge the dominance of those clubs. It is in this context that Rafael Benítez’s Valencia should be remembered and celebrated as one of the great European teams of the last two decades.